The lack of transparency on the Supreme Court boggles the mind. Entry 7: Why doesn’t the split court tell us their votes? 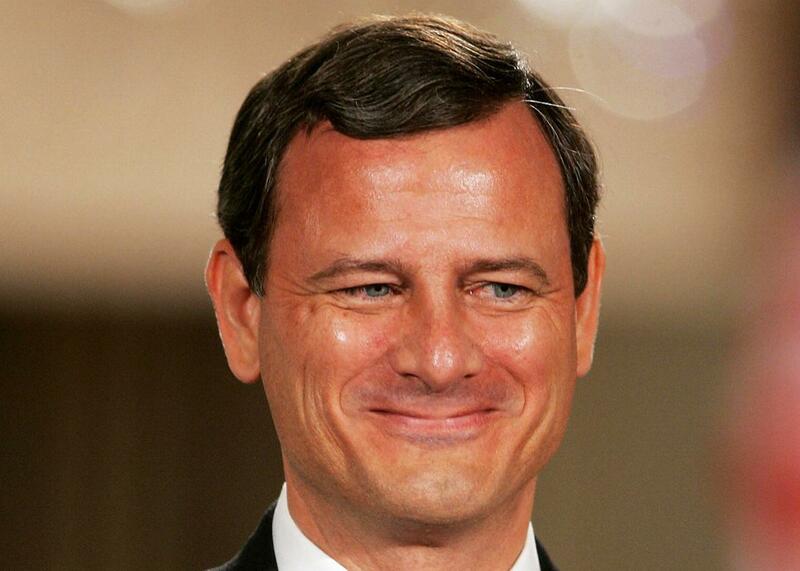 Chief Justice John Roberts of the U.S. Supreme Court. Thanks for inviting me to breakfast. So much to talk about! First, a few thoughts about votes, voting, and transparency. Dahlia and Dawn, you see the court’s inability to reach a decisive majority on the Deferred Action for Parents of Americans as reflecting the same sort of gridlock and dysfunction that plagues Congress. And the two phenomena are connected, as you note: The Texas DAPA case deadlocked 4–4 because the Senate is gridlocked/deadlocked and refuses to move on Merrick Garland. But deadlock/gridlock is not the worst thing in the world. Yes, it’s worse than moving forward, but it’s better than moving backward. Consider, for example, Thursday’s Brexit vote. It wasn’t a deadlock. It wasn’t a tie. It wasn’t 4–4 or 50–50. Britain is moving—but in the wrong direction. So hooray for gridlock and the American Way! But I do wonder about transparency, and here is where Walter’s ideas about the court’s muteness on DAPA come in. If the court formally disposes of a case after cert, and full briefing, and full oral argument, why doesn’t it at the very least tell us how each justice voted? Who voted to affirm? Who voted to reverse? Indeed, aren’t 4–4 cases situations especially important to know where each justice stands? In any 9–0, 8–1, 7–2, or 6–3 disposition, the justices’ individual votes are nowadays always reported, even though no individual justice was decisive: Had any one justice switched sides, the outcome would have been the same. And there is, Dahlia and Dawn, a connection here, too, to the issues of congressional dysfunction you raise. House Dems this week staged an unprecedented sit-in precisely because they would like a vote on gun control—a vote that they might well lose, but a vote in which each House member’s vote would at least be on the public record. But House Republicans counter that gun control–favoring Dems can put their views on the record in other ways—in speeches and writings, and by signing what is known on the Hill as a “discharge petition.” Presumably, those signing a discharge petition could explain to voters that anyone who has not signed the pro-gun-control discharge petition should in effect be understood by the electorate as opposing the bill. So the minority in Congress can, in effect, “out” the majority and inform the public who stands where. Walter, why shouldn’t the four justices who lost the DAPA case, who wanted to reverse the court below, at the very least have outed themselves (and in the process, outed the other four), by writing a one-sentence dissent from the one-sentence disposition? Why wasn’t there, in other words, the following information provided yesterday: “Justices Ginsburg, Breyer, Sotomayor, and Kagan dissent from this disposition.” Of course, like you, I am assuming it was these four justices who would have preferred to reverse, but why didn’t they say so explicitly and on the record? Aren’t we, the people, entitled to know who stands (or sits, a la John Lewis) where on the great issues of the day? And while we are at it, Walter, why shouldn’t we have full-blown opinions even in 4–4 situations? True, the opinions would not be of national precedential significance, because no opinion, by hypothesis, would have commanded a court majority. But justices write opinions all the time that are not national precedents: dissents, concurrences, dissents from denials of cert, even dissents from grants of cert in some situations. And speaking of cert—why doesn’t the court announce who voted for, and who voted against, cert in every case cert is, in fact, granted? Perhaps the court shouldn’t announce these individual cert votes before oral argument, lest advocates draw undue inferences. (Walter, I would love to hear your thoughts on this, given that you are a Supreme Court oral advocate par excellence.) But on the day the court announces its disposition on the merits—a day like Thursday—why shouldn’t it tell us not just who voted which way, in the end, but also who voted which way in the beginning (that is, the cert stage)? OK, enough for now—more later. Dahlia, I do have thoughts on Justice Kennedy’s affirmative action opinion that you discussed, and Mark, I also hope to help cure your Fourth Amendment whiplash; so stay tuned.